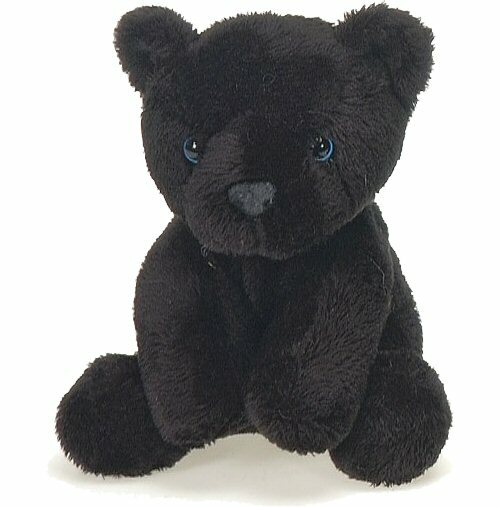 This sweet Lil Buddies plush black panther is cute and cuddly with soft black fur, beautiful blue eyes, and irresistible smiling face. And just as its name implies, this lovable stuffed black panther will be your little buddy for life. Fun Facts about Black Panthers: Did you know that the black panther is not its own unique species but rather is simply a specific color variation of other big cats? For instance, in Asia and Africa, they're called black leopards. In Latin America, they're known as black jaguars, and in North America, we call them black cougars or black panthers.